I consider myself a big WHO fan, but I am going to come clean with you folks. Prior to the relaunch of the series in 2005, I knew it existed but never cared to watch. So when The Breitweisers told me I should watch it, who was I to argue with them? So I did and I became a mega fan! I'm also a believer in each Doctor has been better than the last, so the current Eleventh Doctor, Matt Smith is my top Doctor choice. It could also be largely due to Amy Pond. SWOON! Hope you dig my illo, this one was an absolute blast to do. I've been wanting to do a definitive Doctor piece for some time now, so Mr. Samnee gave the perfect excuse. Thanks, Chris! 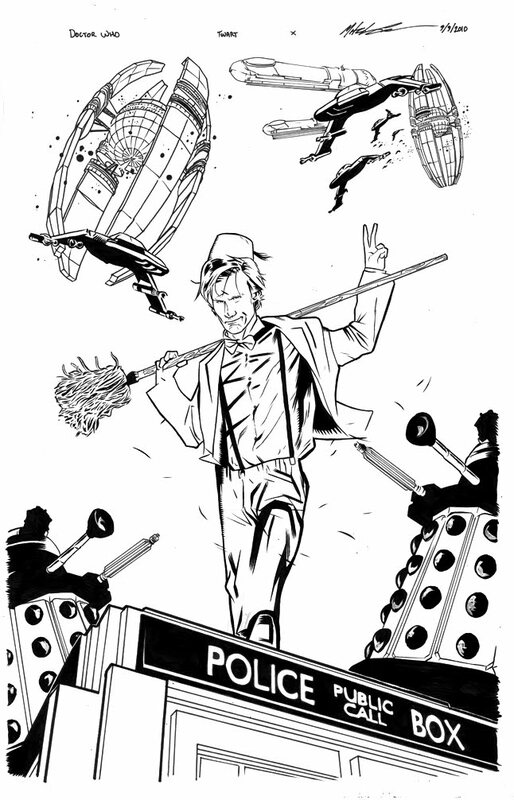 Below you'll also find my inks for the piece as well as a Matt Smith Doctor illo I did a few months back. Fanbloodytastic stuff. You've gotten the spirit of the last season down pat. You're perfect for this stuff, Mitch. Wow, really love the inks! Like Mark said, completely captures the last season! Color version's a bit too bright and "shiny" for my taste in the fez version, feels like it's sort of a distracting presence instead of the reserved touch in the TARDIS illo, but that's just me! Brilliant! 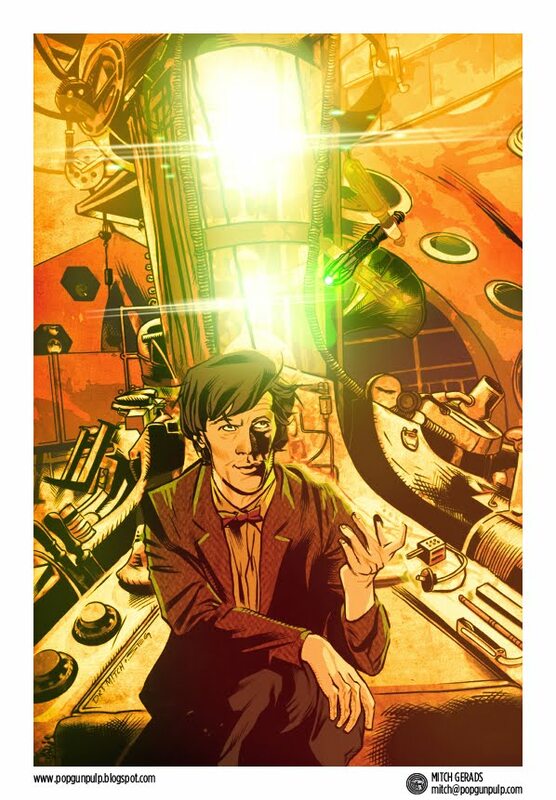 A damn fine representation of the latest doctor, bigger and better than ever before. Having seen every series of the doctors adventures I would have to agree with you, Matt Smith is indeed my favorite doctor too! Totally groovy, Mitch - love it! Awesome! I always thought the mop didn't get as much rave as the fez!